This year, as many people have noticed, quite a few plants are sequencing ahead of schedule. Last week our first rose—a Rosa carolina—bloomed. That indicates that in about 20 days, the Cranford Rose Garden will be looking quite wonderful. Peak bloom is estimated to be the first week of May, about a month earlier than usual. So June will not be rose month this year. Also in bloom right now is the Rosa 'Golden Chersonese' on the hill, which followed soon after the R. carolina. (Each year it's usually a contest between the two for first place.) The 'Canary Bird' and 'Father Hugo' specimens by the west gate have also bloomed. Next week, the Rugosa hybrids and 'Harison's Yellow' will follow, along with some other precocious bloomers thrown into the mix. Be sure to catch the show. 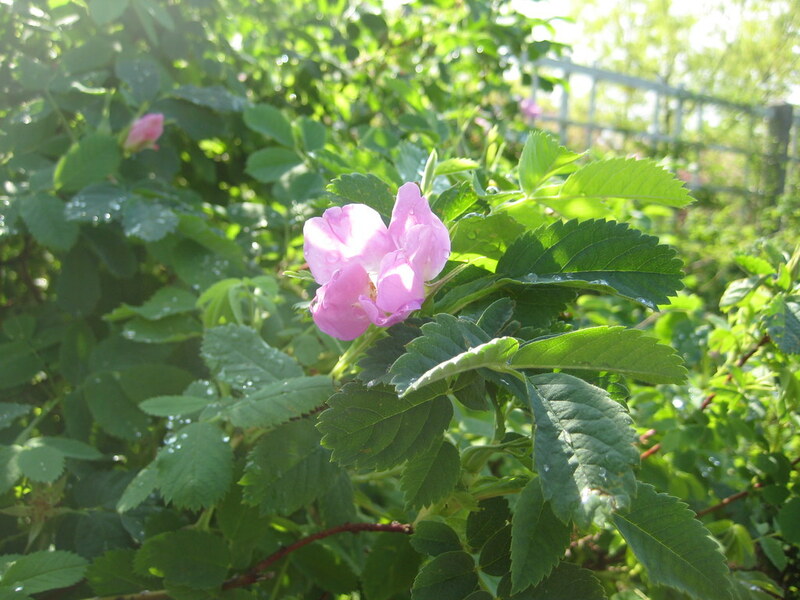 Rosa carolina was the first species to bloom in the Cranford Rose Garden this year. Photo by Sarah Schmidt.